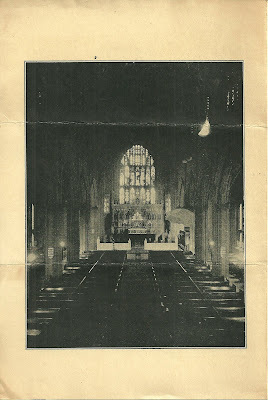 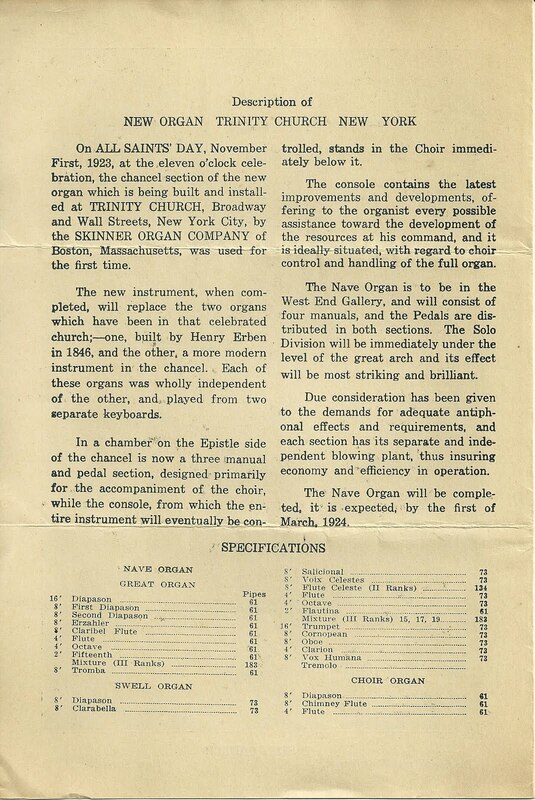 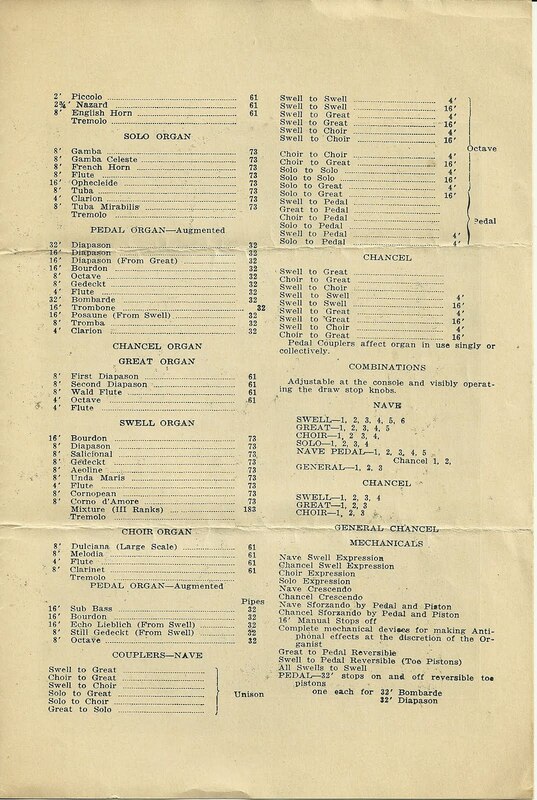 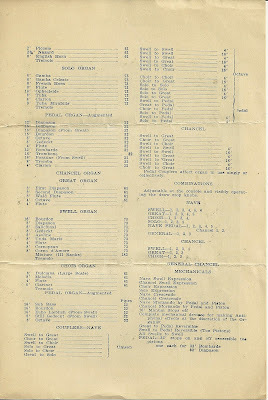 Folded booklet providing a description of the new organ being installed at Trinity Church, Broadway and Wall Streets, New York City, by the Skinner Organ Company of Boston, Massachusetts. The booklet notes that the chancel section of the organ will be used for the first time at the service on All Saints' Day, November 1. 1923. 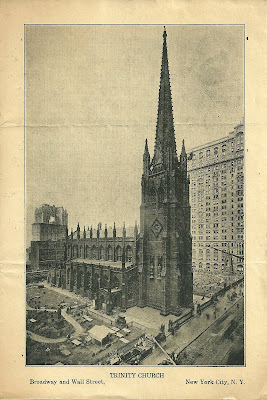 This memento may interest people beyond those with a connection to Trinity Church. 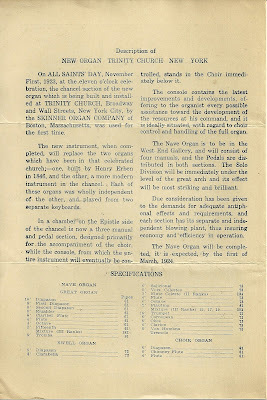 Organ aficionados will find more than a page of specifications.